Ever wonder why do cars need differentials and how do they actually work? 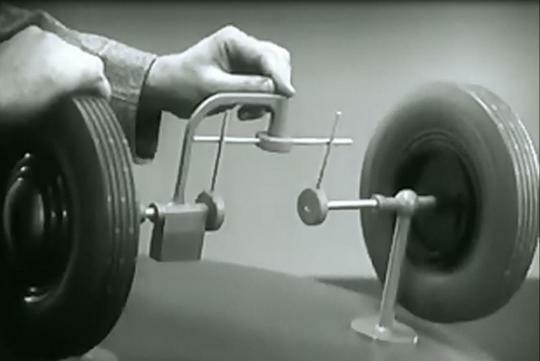 Chevrolet explains to us the uses of it and how it works in this 1930's short film. Hint : fast forward to the two minute mark to get to the lesson straight. After watching this, we hope you will appreciate the limited-slip differentials in your hot hatches or other performance cars more! Very cool, thanks. I like the part at the end with the guy and girl running (at different rates) on the outside and inside wheels to "drive" home the point (pun intended).